Marine Hoparlörler 14 adet ürün var. 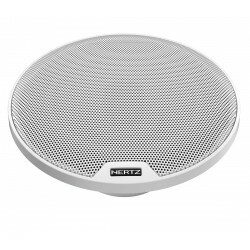 Hertz HMX 6.5-LD 2-way marine speakers with LED lighting (White) Specs: handles up to 75 watts RMS (150 peak) frequency response 50-25,000 Hz sensitivity: 89 dB impedance: 4 ohms mounting depth: 2-3/4"
Hertz Marine HMX 6.5 2-way marine speakers (White) Specs: handles up to 75 watts RMS (150 peak) frequency response 50-25,000 Hz sensitivity: 89 dB impedance: 4 ohms mounting depth: 2-3/4"
HEX 6.5 M-W / C 6.5” MARINE COAXHEX 6.5 M marine coaxial, available with both white (W) and black grilles (C), will give you years of pure fun while cruising, being over engineered and tested for Marine applications. 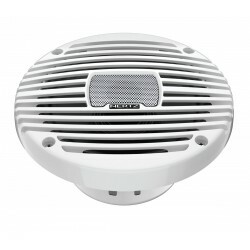 The compact 6.5” speaker, with a depth of only 2.36 in. 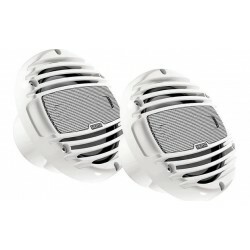 delivers a detailed and dynamic sound, making every outing memorable. 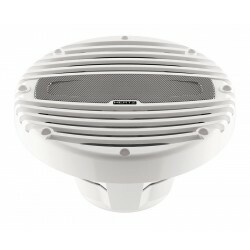 HEX 6.5 M-B / C 6.5” MARINE COAXHEX 6.5 M marine coaxial, available with both white (W) and black grilles (C), will give you years of pure fun while cruising, being over engineered and tested for Marine applications. 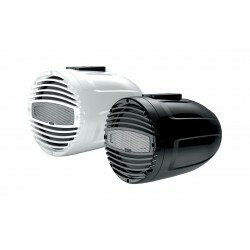 The compact 6.5” speaker, with a depth of only 2.36 in. 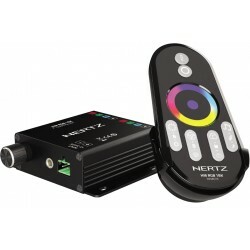 delivers a detailed and dynamic sound, making every outing memorable. HEX 6.5 C-W 6.5” MARINE COAX CLASSIC - NEW HEX 6.5 C-W marine coaxial features classic grilles will give you years of pure fun while cruising, being over engineered and tested for Marine applications. 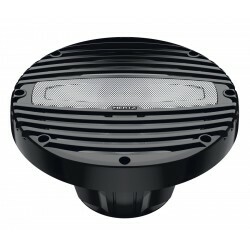 The compact 6.5” speaker, with a depth of only 2.36 in. 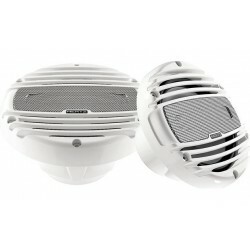 delivers a detailed and dynamic sound, making every outing memorable. 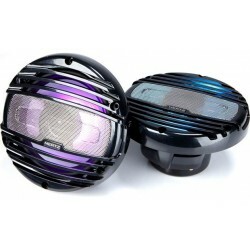 HMX 8 LD / C MARINE COAX RGB LED The HMX 8 LD hi-performance marinet coaxial speakers with RGB LEDs lighting option, also available in the black option HMX 8-LD-C, is optimized to perform in infinite baffle, with a solid bass and an outstanding output. 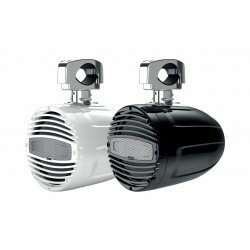 The HMX tweeters feature an acoustic lens optimized for best off-axis dispersion and maximized SPL. 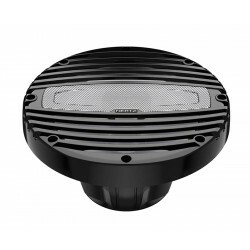 HMX 8 LD / BLACKMARINE COAX RGB LED The HMX 8 LD hi-performance marinet coaxial speakers with RGB LEDs lighting option, also available in the black option HMX 8-LD-C, is optimized to perform in infinite baffle, with a solid bass and an outstanding output. 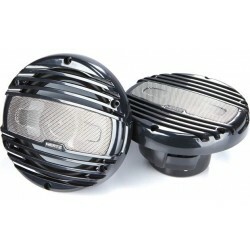 The HMX tweeters feature an acoustic lens optimized for best off-axis dispersion and maximized SPL. 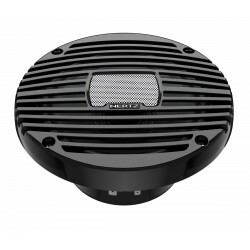 Hertz HMX 6.5-LD 2-way marine speakers with LED lighting (Black) Specs: handles up to 75 watts RMS (150 peak) frequency response 50-25,000 Hz sensitivity: 89 dB impedance: 4 ohms mounting depth: 2-3/4"
Hertz Marine HMX 6.5 2-way marine speakers (Black) Specs: handles up to 75 watts RMS (150 peak) frequency response 50-25,000 Hz sensitivity: 89 dB impedance: 4 ohms mounting depth: 2-3/4"
HTX 8 M-FL-W MARINE TOWER COAX FLAT WHITE Are you ready to enjoy your favorite track at high output level during your daily water ski session? Hertz Marine Towers will make your sport and leisure outings unforgettable, thanks to impressive audio performance and cool color lighting. HTX 8 M-CL-W / C MARINE TOWER COAX CLAMP Are you ready to enjoy your favorite track at high output level during your daily water ski session? Hertz Marine Towers will make your sport and leisure outings unforgettable, thanks to impressive audio performance and cool color lighting.